Don’t forget the Farmers Market today! Look forward to farm fresh eggs, baby mustard greens, kale, spinach and collard greens. 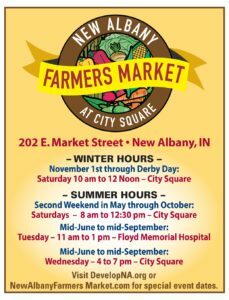 For more information, please visit: http://www.newalbanyfarmersmarket.com.